We are Kids lovers. For over 20 years we have developed TOYS that provide developmental benefits to kids in their early childhood. The industry has recognized our effort by granting us 100 international awards. K's Kids toys are NOT JUST TOYS but developmental tools for the young masters. We have developed a LEARNING TRIANGLE to explain the benefits of each of our TOY. 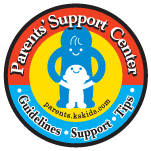 We have established a PARENTS SUPPORT CENTER as a platform for parents to come and understand the goodies and function of our TOY and how to make use of them to develop their kids. We believe that the world will be better if our next generation grows up with love and care. We are committed to develop TOYS that develop KIDS.